One man’s trash is indeed another man’s treasure. What you may consider wonderful and unique, another may disagree with, but that’s the beauty in all sales. Through the years, we have learned that many clients and prospective clients feel an estate sale and a yard sale are pretty much the same thing. This is not the case; please read on. Estate sales are a powerful way to empty a home, but they require knowledge, skill, and training to do so. Estate sale professionals always look for a wide variety of estate items when deciding to accept and conduct an estate sale. Since the public is invited into the physical estate for the actual sale, it is necessary to have this good variety of items to act as a magnet to attract buyers, who are interested in just about anything. It doesn’t necessarily have to be the entire contents of the home, but liquidators are looking for as much as possible to sell. Yard sales are an entirely different venue to sell items, one that is far less complicated. 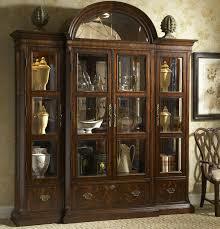 It is much smaller and contained, and its purpose is often just thinning out unwanted items. An estate sale is a sale to dispose of a substantial portion of the items owned by a person who is recently deceased, or who must dispose of his or her personal property to facilitate a move. Downsizing and divorce are also reasons why an estate sale might be needed. 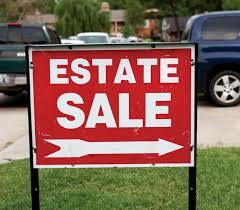 Estate sales require skill and knowledge of a professional to sell the bulk of a household. A yard sale/garage sale is an informal, irregularly scheduled event for the sale of used goods by private individuals at their home. Sellers are not required to obtain business licenses. Yard sales are held on the seller’s own premises to quickly get rid of used household or personal items (furniture, tools, clothing, etc.) at bargain basement prices. An estate sale professional does not usually conduct yard sales. There are many differences between these two sales. An estate sale is professionally run, for a percentage of the proceeds, and the majority of items are not usually low in value. 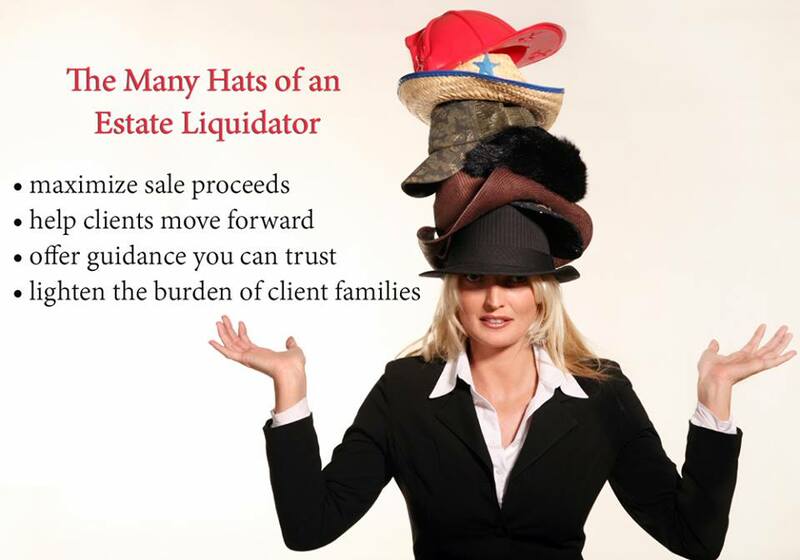 A professional estate liquidator is often needed, due to the overwhelming scope of work required to handle the process in the best possible manner with the best possible results. It is not unusual for this process to become completely overwhelming for those left behind, and the liquidator can often lift a huge burden from the family. Remember too, that the professional estate liquidator has knowledge and experience with pricing personal property, knows how to research, has trusted resources, and is proficient at attracting the right estate sale buyers, based on what the estate offers. Sometimes, families attempt to do things on their own by selling or giving away items, leaving only yard sale material. By then, it is too late for the estate liquidator to offer a successful sale or maximize the proceeds because everything good is gone. While the most common reason for an estate sale is death, moving into another residence such as an assisted living facility, downsizing and/or divorce are other personal reasons someone will choose to have an estate sale. In most cases, the children/heirs take what they want, but either don’t want the majority of the home’s contents or lack the space for it. Sometimes a loved one’s will has specifications that all of the personal property be sold and the proceeds be divided equitably among the heirs. To pay debts the estate has incurred, creditors will need to be paid during the settlement process. A yard sale thins out the home of unwanted or no-longer-used items. The children have grown up and it’s time to purge the home in preparation for downsizing. Toys, clothing, sports equipment, holiday items, etc. can be sold quickly and the remainder is easily donated. Here is a comparative chart to view the estate sale vs. the yard sale, side by side.